Hony Capital has gobbled up Britain’s Pizza Express. The Chinese buyout firm looks better placed than seller Cinven to bring crispy goodness to Middle Kingdom diners. A price of 10 times EBITDA is digestible. A dollop of debt means modest growth could bring 21 pct annual returns. 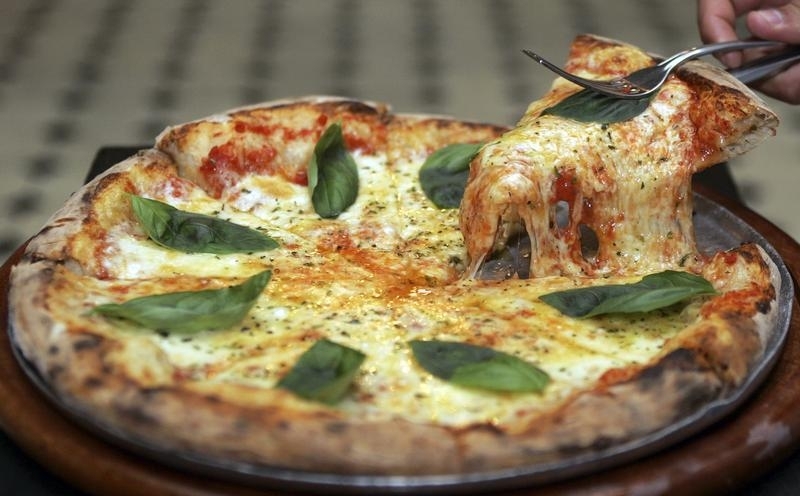 A slice of Margherita pizza is served at Braz pizzeria in Sao Paulo, September 28, 2007. Chinese private equity group Hony Capital said on July 11 it agreed to buy British chain Pizza Express from private equity owner Cinven. Hony will pay 900 million pounds ($1.54 billion), of which around two-thirds will be funded by debt, according to a person familiar with the situation. Gondola, which also owns chains Zizzi and ASK Italian, was taken private by Cinven in 2007 for 1.34 billion euros ($1.82 billion). Pizza Express made about 90 million pounds in EBITDA in the twelve months ending June, according to a person familiar with the situation. Hony was advised by JPMorgan, while Cinven was advised by Goldman Sachs.